The world of business is filled with a variety of terms, jargons, and odd phrases along with an ample supply of acronyms. The term bottom line is often used and refers to the profitability of a business after all expenses are deducted from revenues. Bottom line profits are net profits after all the costs of the business have been accounted for. The remainder is either a positive or negative figure. The phrase has also morphed into everyday business usage in conversations where someone is attempting to communicate a final conclusion, outcome, or recommendation. For example: "The bottom line is, we are not able to manufacture more than 10,000 widgets per month without an expansion in production capacity." Or, "My bottom line price is $4.55 per unit. I cannot go any lower." It is not uncommon to hear some variation of the phrase, "we are managing to the bottom line." It is a misnomer. A company may set bottom line profit targets, but circumstances in the marketplace (and the firm's strategy and operations) ultimately combine to create the revenues and costs that determine the bottom line. For example, an organization chooses to invest its resources in a strategy to find and keep customers. It develops products or services and markets those offerings, supports its customers and then repeats the cycle again and again. At the end of each accounting period, the company calculates what it received from customers (and other revenue sources) and subtracts all the costs incurred in the process. 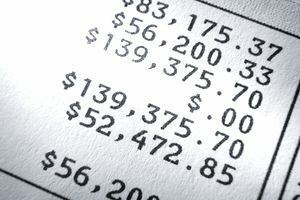 After accounting for these costs (including taxes, interest on debt, and various accounting-driven numbers including depreciation and amortization) the company arrives at a bottom line number. It is either the net profit or net loss number. What a company can (and should) do to stay healthy is monitor and control expenses while striving to minimize unnecessary (or wasteful) expenses. It should all be done while, concurrently, optimizing the allocation of resources to support the company's strategy. This type of "managing to the bottom line" is reasonable and healthy. Organizations that focus predominantly on costs and choose not to invest in current strategies (or fund investments to support future initiatives) often struggle in the long-term. Alternatively, declining or low bottom line numbers over time is an indication of challenges in one or more of the areas mentioned above and should be examined by management. Shareholders, the board of directors, and employees all rely on the bottom line numbers after each accounting period (usually quarterly) to assess the effectiveness of the company's marketplace strategy and internal management. Of course, when bonuses or annual salary increases are tied to bottom-line results, employees naturally pay more attentive to these numbers. Although profitability numbers are important measures of a company's current success (and are used to compare previous time frames), they are not a tell-all. They do not tell management, directors, shareholders, or employees what worked or what failed. Poor profitability numbers are an indication that something is wrong, ranging from strong competition to adverse economic circumstances to a failed strategy to runaway costs. Likewise, positive numbers do not highlight what part of the company's overall approach is working. It is possible for strong economic conditions (or competitor failure) to lift revenues and improve profits, in spite of poor cost control or a weak long-term strategy. In financial reporting for publicly listed and traded firms, it is important to look at the detailed notes including footnotes. It helps management (and other stakeholders) understand the assumptions, accounting approaches, and final derivation of the bottom line number. Profit is an outcome of all of the activities of an organization. It is an important indicator of overall conditions in the company's target markets. It is also a barometer of management's effectiveness in selecting strategies, investing in products and services, marketing, and cost control. Profit should be compared over a period of time, and those involved should look carefully at all variables to understand the factors leading to a company's bottom line.